Kudankulam Protest: Amnesty International steps in. 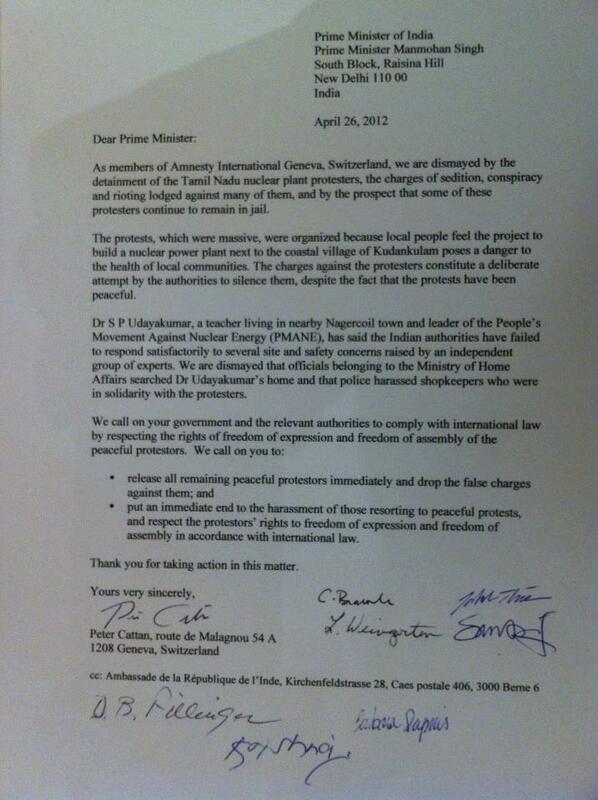 As members of Amnesty International Geneva,Switzerland, we are dismayed by the detainment of the Tamil Naduu nuclear plant protesters, the charges of sedition, conspiracy and rioting lodged against many of them, and by the prospect that some of these protesters continue to remain in jail. 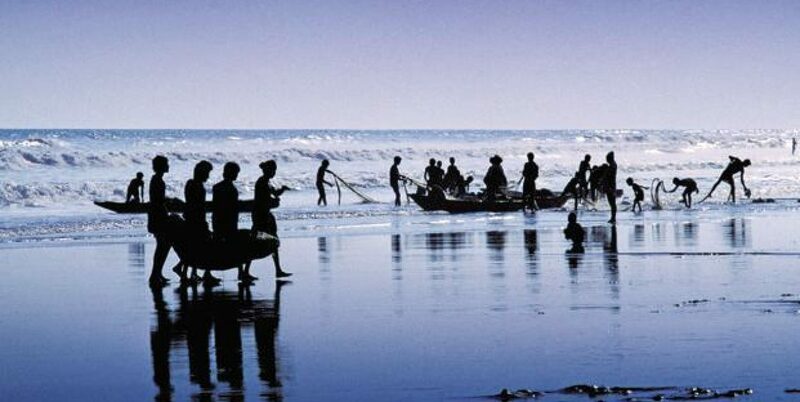 The protests, which were massive, were organized because local people feel the project to build a nuclear power plant next to the coastal village of Kudankulam poses a danger to the health of local communities. The charges against the protesters constitute a deliberate attempt by the authorities to silence them, despite the fact that the protests have been peaceful. Dr S P Udayakumar, a teacher living in nearby Nagercoil town and leader of the People’s Movement Against Nuclear Energy (PMANE), has said the Indian authorities have failed to respond satisfactorily to several site and safety concerns raised by an independent group of experts. We are dismayed that officials belonging to the Ministry of Home Affairs searched Dr Udayakumar’s home and that police harassed shopkeepers who were in solidarity with the protesters. put an immediate end to the harassment of those resorting to peaceful protests, and respect the protestors’ rights to freedom of expression and freedom of assembly in accordance with international law. Thanking you for taking action in this matter.